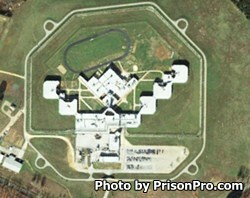 Potosi Correctional Center is located Mineral Point Missouri. It is a mixed custody facility that houses minimum, medium and maximum security inmates. Currently this correctional center can house 903 male inmates. Potosi Correctional Center offers a 46 bed Special Needs Unit (SNU) for offenders with mental illness or who are developmentally disabled. Potosi Correctional Center is responsible for receiving and housing inmates who have been given the death penalty. Offenders at this correctional facility can earn a GED and adult basic education during their incarceration. In addition, inmates can take vocational courses to acquire a new employment skill. Once you have an approved visiting application on file for your inmate you may visit. Visitation occurs on Fridays, Saturdays, and Sundays from 9:30am-1:30pm, and from 2:30pm-6:30pm.